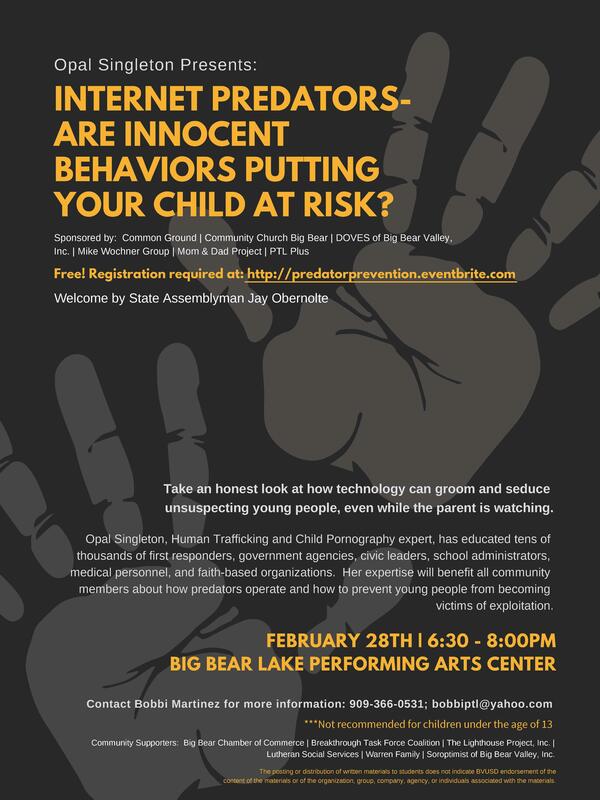 This is an important event on how to protect our children from internet predators. This information is shared by a key expert in the area. It is coordinated by key community groups. This is an opportunity you will not want to miss. See the attached flyer for details.